Opinion: What to do with the Muslims In Our Head? In my mind, when I think about Muslims, I think about the preponderance of violence in the Muslim world. 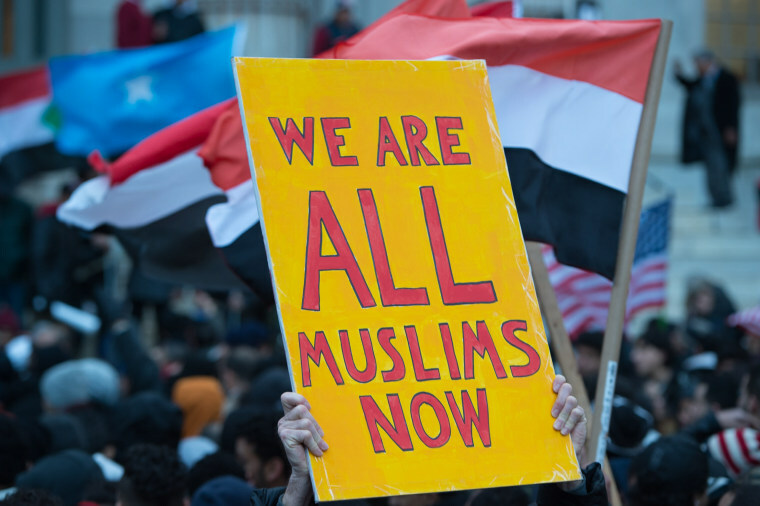 Most of the Muslim characters in my head have been cast across our never-ending news headlines framed on the political stage of foreign policy, American interests, and global conflict — from Ayatollah Khomeini to Osama Bin Laden to Bashar al-Assad. Since 9/11, it seems all the Muslim bad guys have the lead roles in our news coverage. But Aziz Ansari, Mahershala Ali, Zayn Malik, Shaq, Dr. Oz don’t fit into our distorted narrative as Muslims. I, like many, lack personal meaningful connections with American Muslims. While I don a turban and a long spiral beard, for many Americans, I am Muslim. I am Arab. I am Osama Bin laden. I am ISIS. I am a terrorist. I inhabit this strange space where, as a Sikh man, I am both a target and consumer of this grotesquely oversimplified caricature of a Muslim. Fittingly, I have found cartoons as my tool to confront this caricature. One of these cartoons was of Captain America, in turban and beard, all ready to battle hate and intolerance. One thing led to another, I donned the Captain America uniform for a photoshoot at the request of Fiona Aboud, a Brazilian American photographer. I have been on a mission since, traveling across the nation in this metamorphosis of a fictional character which oddly has allowed me to create a space where I am not just "Muslim" anymore. It has been a "Twilight Zone" experience with Americans from armed forces to Republicans to teachers to young white kids to even Trump supporters embracing me. I have heard from many concerned Americans about my safety over the years: “I am sorry you have to do this," “I am sorry you get targeted as Muslim," “We Americans are ignorant and should know better to differentiate between the Muslims and Sikhs,” “We like Sikhs but it's Muslims we have issues with,” “You Sikhs have battled Muslims throughout your history and it's sad now you are confused as one." The heartfelt concern in these statements might be genuine but it is built on a manufactured vision of a global fundamentalist Muslim. Although it is heartening to see an outpouring of support for refugees, permanent residents, and legal visitors impacted by the temporary ban imposed by executive order from our president, it would be remiss of me not to hold mainstream western media and popular culture accountable for laying the foundations of this radical Muslim. Many of our nation's new leaders, their advisors, far-right media and many Americans who might not have real life interactions with Muslims have taken this to a new level. They have constructed and bought into a simple narrative that Islam, the religion Muslims practice, is a political ideology, even an evil — and, by extension, Muslims are susceptible to radical extremism. It just happens many of us did not imagine the purveyors of this extreme distorted narrative to be in power. At this point we would be served well to remember that our nation was involved in clandestine activities to topple Iran’s Prime Minister in a 1953 coup. This would precipitate the rise of Mullahs whose Iran we would come to define as an enemy. We would proceed to provide diplomatic and military support to Saddam Hussein in his battle with Iran in the 1980s. Then, in 2003, we went to war with Iraq to topple Saddam Hussein based on gross intelligence failures and strategic policy mistakes. Thousands of Iraqi and American lives have been lost. Our soldiers are still stationed in Iraq. ISIS rose out of this mess. The reduction of all Muslims on the planet into a simple narrative is akin to extremists in the Islamic world reducing Americans and the western world as monolithic kafirs, unbelievers who are rightful targets of murderous violence. We have to fight the radical elements in the Islamic world bent on targeting American lives including fighting radical American extremists. For starters lets begin by calling Americans engaging in acts of hate against Muslims, Sikhs, Jews and others as home-grown terrorists. Vishavjit Singh is a New York City-based cartoonist, writer, performance artist, and creator of www.Sikhtoons.com. He got his spark for cartooning in the post-9/11 tragedy when Americans with turbaned and bearded countenance became targets of hate & bias. For the past few years he has been traveling across the U.S. with his Captain America persona to tackle fear, anxiety, bigotry and intolerance.